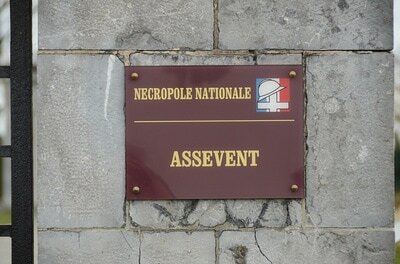 Assevent is a village and commune in the Department of the Nord, two miles east of Maubeuge, in the valley of the Sambre. 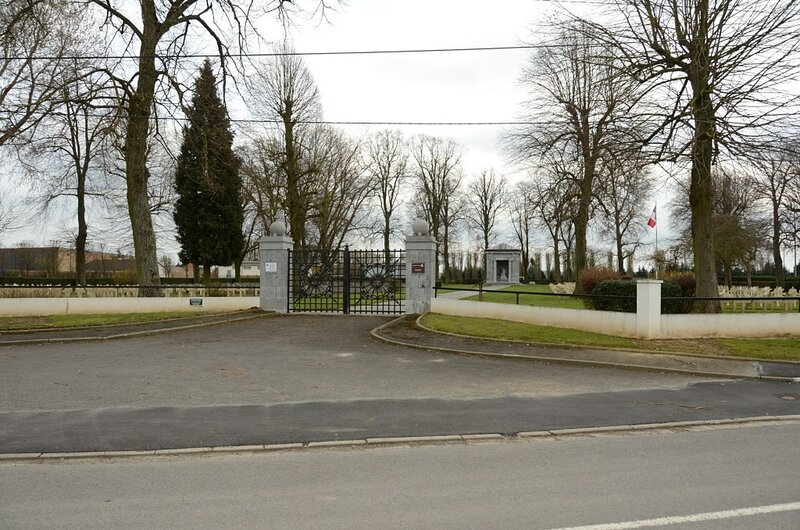 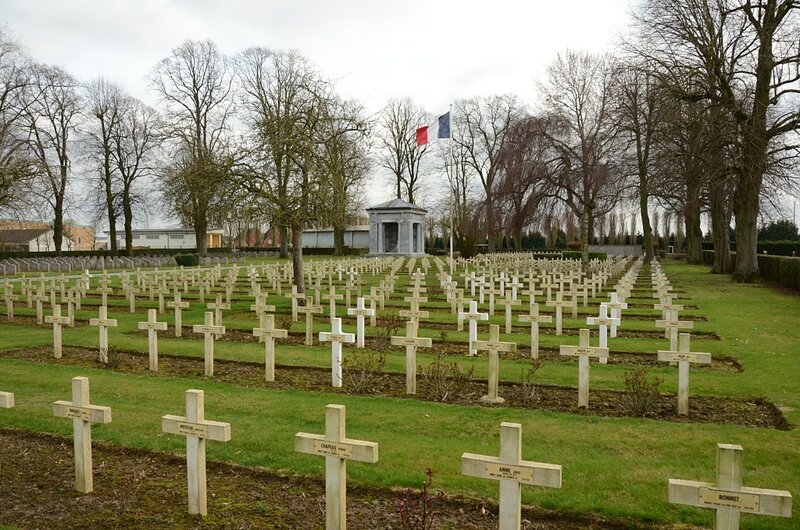 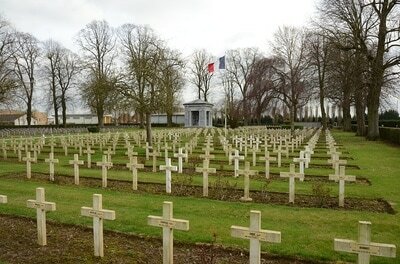 The French National Cemetery ("Cimetiere National Mixte") is an extension of the Communal Cemetery; it was begun by the Germans in 1914, and enlarged after the Armistice. 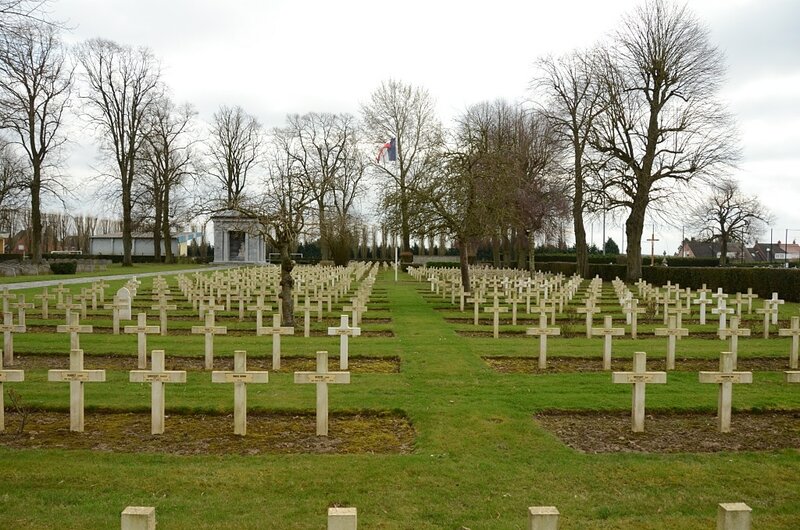 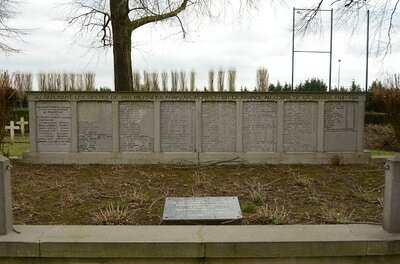 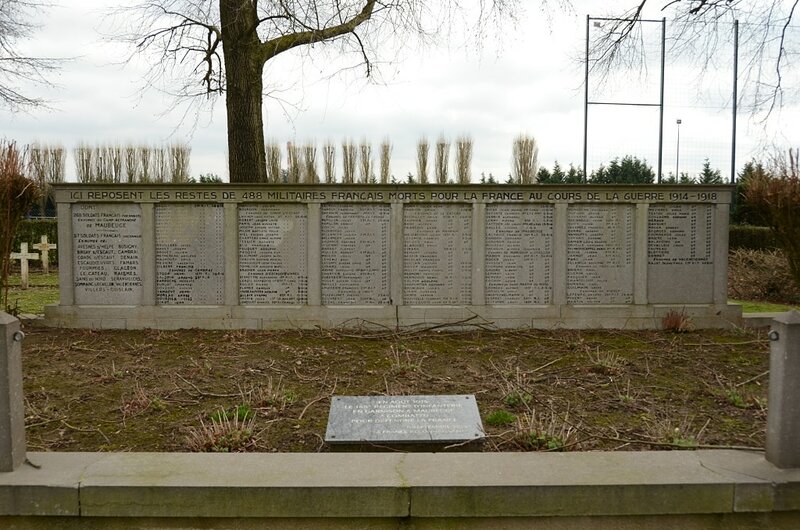 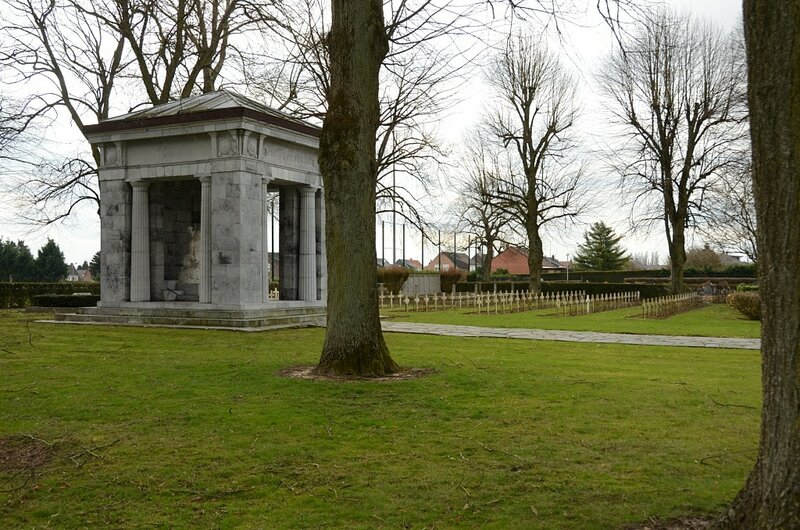 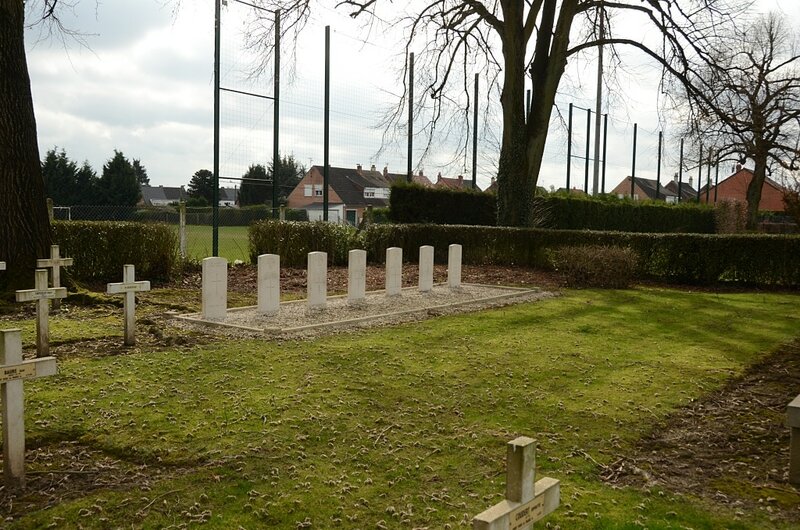 It contains the graves of 925 French soldiers (of whom 537 are unidentified) and 346 German; and in the South-West corner are the graves of four men of the 12th Lancers who fell in August, 1914, and three unidentified soldiers from the United Kingdom. 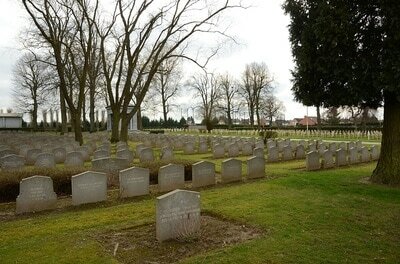 The cemetery, covering 10,038 square yards, is well laid out and planted, and contains a German monument. 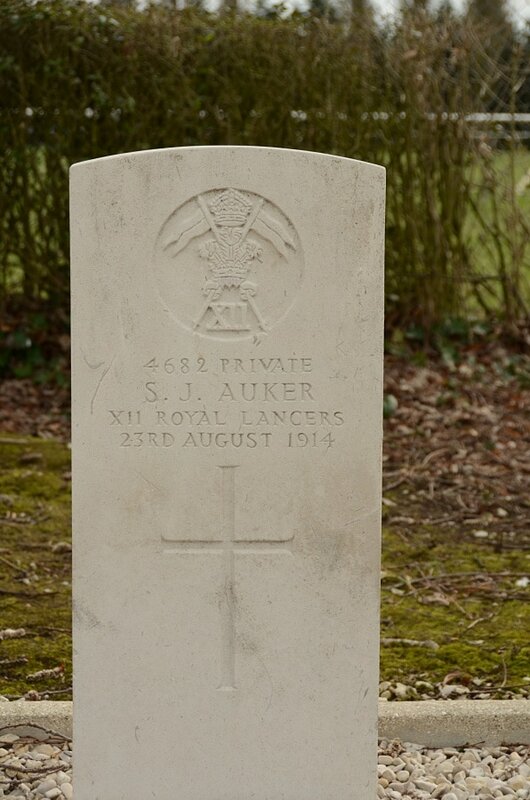 4682 Private Sidney James Auker, 12th (Prince of Wales's Royal) Lancers, died 23rd August 1914. 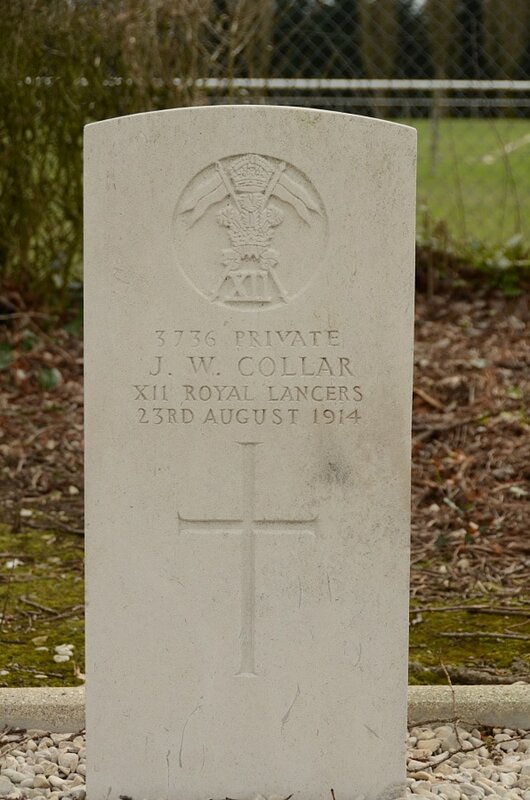 3736 Private James William Collar, 12th (Prince of Wales's Royal) Lancers, died 23rd August 1914. 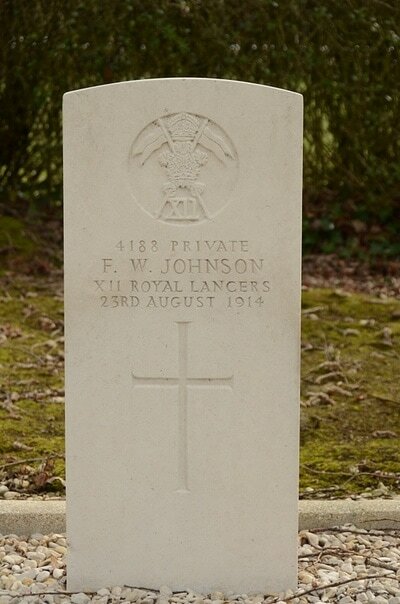 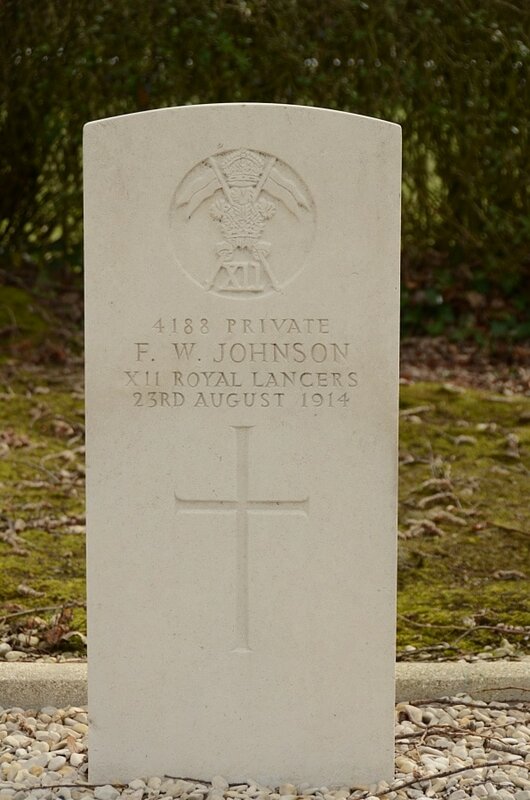 4188 Private Frederick Waldock Johnson, 12th (Prince of Wales's Royal) Lancers, died 23rd August 1914. 332 Private George James Plant, 12th (Prince of Wales's Royal) Lancers, died 23rd August 1914, aged 25. 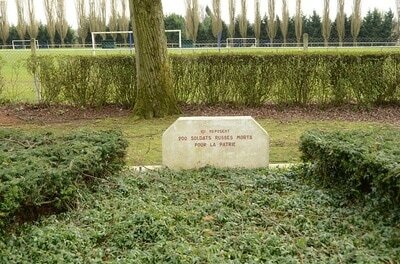 Son of Charles and Sarah Plant, of 66, Seventh Avenue, Manor Park, Essex.